(Knight Rider voice) A shadow flight into the dangerous world of a man who has just worked out. So, here’s what I did this week. –Superhero Workout twice in a row, which this week was definitely a mistake. It’s an excellent stress reliever but it also hurts way more than you’d think 7 minutes punching virtual asteroids would. –DDP Yoga Wake Up once and Diamond Dozen once. This isn’t as much as I’d have liked to have got done but given my poor little super body was still aching from the previous two days, understandable. –Zombies Run Couch to 5k once. This time in a hoodie because fool me once? Shame on me. Fool me twice? Can’t…feel…my…entire…torso. –Superhero Workout remains great fun. I’m also hearing much more of it now I’ve turned the volume up and am breathing better. More on that in a second. 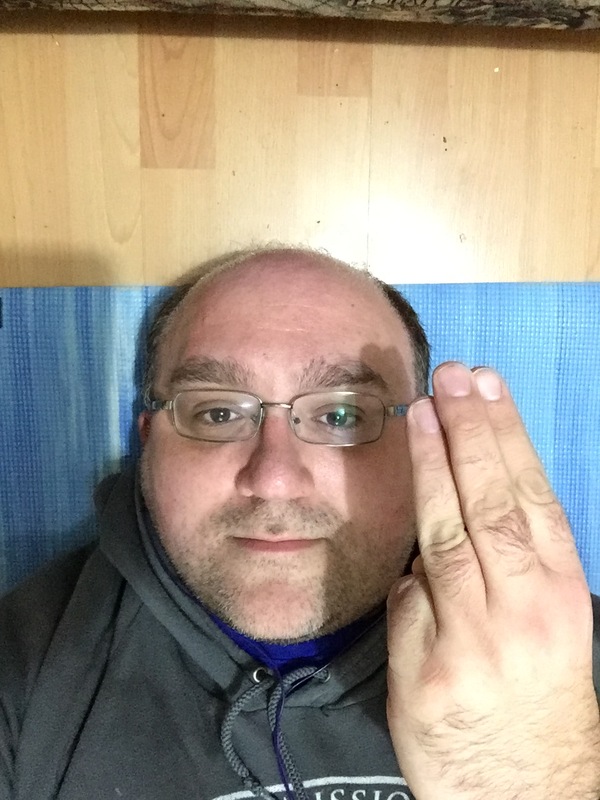 –DDP Yoga got short shrift this week. It’s great and we have friends who about to start using but I was sore from the first two days so this didn’t get the attention it deserved. One big workout at least this week, if not two. – Zombies Run Couch to 5k saw me remember how to breathe! In your FACE, Michael Stipe! Breathing while running is weird, sort of like patting your head and rubbing your tummy at the same time. What a lot of sites recommend is matching your breath rhythm to your steps, usually 2:2 or 2:3. Which means breathe in for 2 steps out for 2, or in for 2 out for 3. I tried both of these and neither of them quite worked. 3:3 though worked just fine. Which meant I didn’t have a stitch by the end of it. That’s vital, especially as I’m coming up on the longer stretches of running pretty soon. I have ideas about how to deal with that but we’ll get to those nearer the time. In the meantime, go poke the Body Image Goblin in the eye and I’ll see you next week.